Showcasing the most influential developments, experiments, and architectures impacting the digital, surveillance, automotive, industrial, and medical sciences, Image Processing Technologies tracks the evolution and advancement of computer vision and image processing (CVIP) technologies, examining methods and algorithms for image analysis, optimization, segmentation, and restoration. It focuses on recent approaches and techniques in CVIP applications development and explores various coding methods for individual types of 3-D images. This text/reference brings researchers and specialists up-to-date on the latest innovations affecting multiple image processing environments. Passive Range Sensing Techniques: Depth from Images. Optimization Approaches in Computer Vision and Image Processing Katsuhiko. Motion and Shape from Sequences of Images under Feature Correspondences. Compression and Representation of 3-D Images. Omnidirectional Sensing and Its Applications. Computational Sensors: Vision VLSI. Processing of Face Images and Its Applications. Document Analysis and Recognition. Recent Progress in Medical Image Processing-Virtualized Human Body and Computer-Aided Surgery. 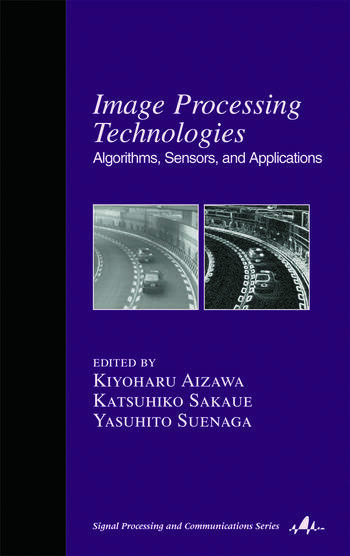 Image Processing for Intelligent Transport Systems.